It's that time of the year when Year 9 students will be trundling along with their parents to their schools GCSE Choices evenings, presentations of what subjects students could select for their GCSE studies in Year 10, and 11. Though in reality for most their won't be much of a choice as the choices forms appear to have been carefully crafted to give the illusion of choice when in reality the decisions for who will do what have already been made by the schools aimed at maintaining or improving their schools position in the GCSE results tables and in view of limited spaces for resource intensive subjects such as Computer Science which tend to be over subscribed by many times the number of places available and thus only a fraction of students will actually get places on their chosen subjects. 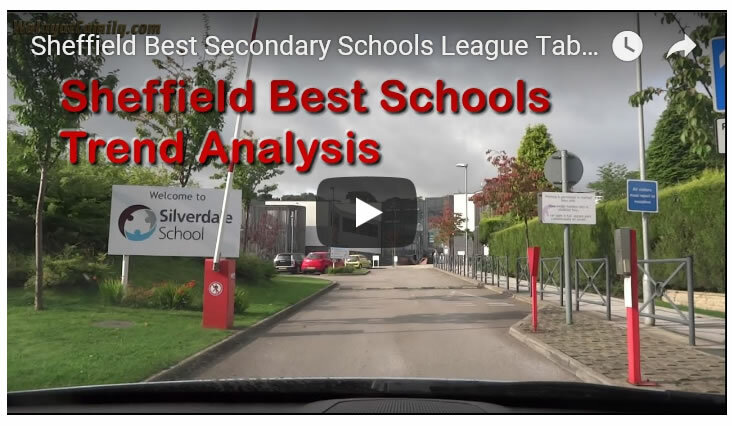 Here for the start of 2019 is an update of what currently are Sheffield's best secondary schools based on trend analysis which ranks the schools in terms of consistency of results, as GCSE results tend to vary from year to year. 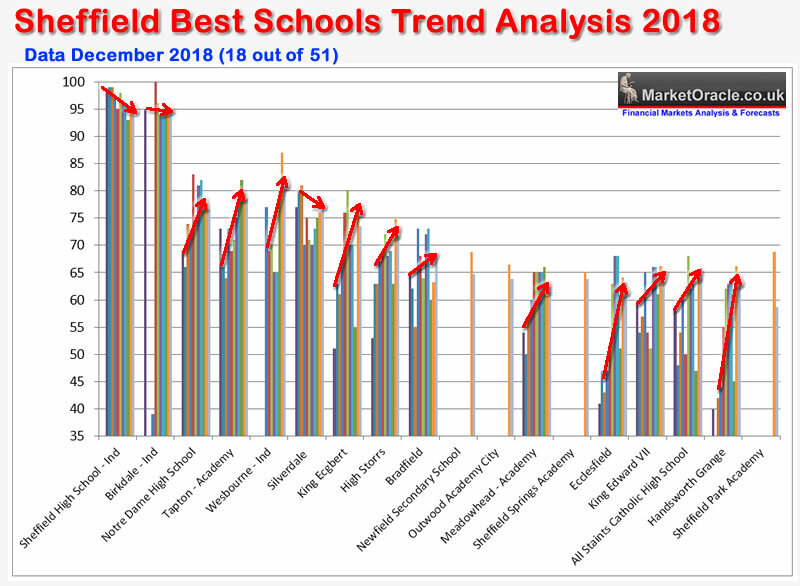 The graph represents Sheffield's Top 18 secondary schools out of a total of 50 rated in terms of consistency in attaining high rankings in the school league tables from 2001 to 2018, for 5 A-C GCSE's 2001 to 2016, since which time results data has been changed for most schools to the measuring of Attainment 8 Scores, so data has been normalised as a % of top scoring school so as to continue this unique trend analysis series. The two Independant Schools remain at the top of the list. 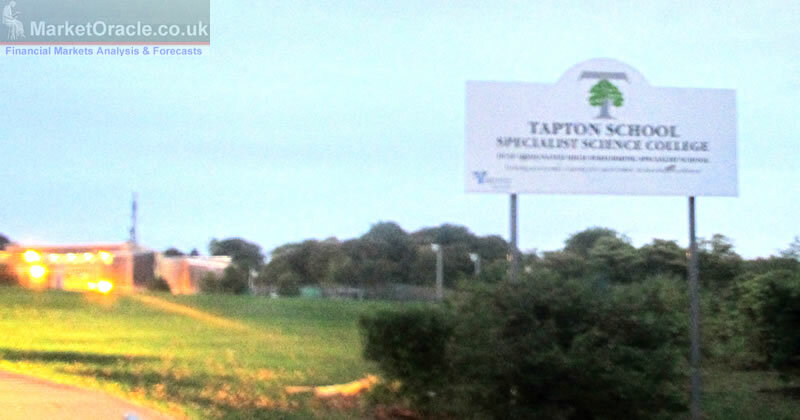 Then some significant distance away are the following cluster of 4 schools that rank quite closely together performing at about 76% of Sheffield High School, where the first state school Tapton comes in at No4. 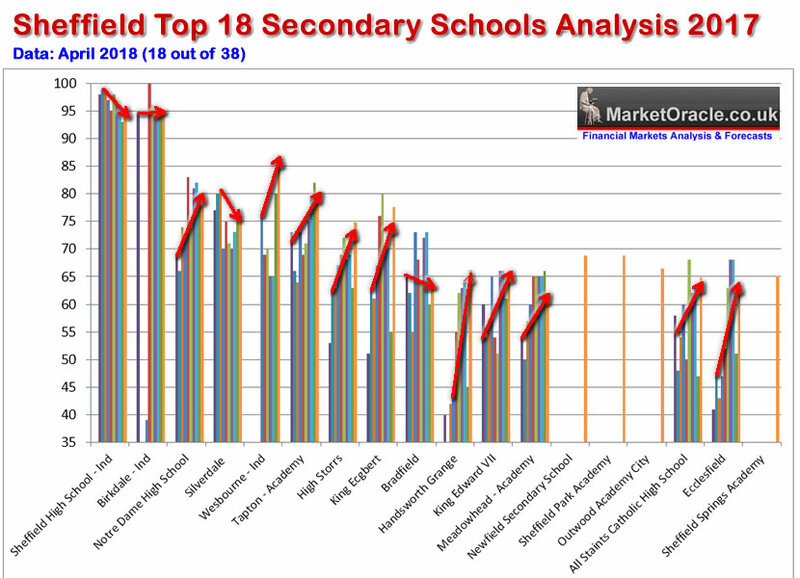 In the next cluster are the following 3 schools that typical rank at 2/3rds the performance of Sheffield High School. The most notable movements for 2018 were Tapton and Westboune pulling ahead of Silverdale, and Handsworth slipping from 10th to 17th due to better results from other schools. 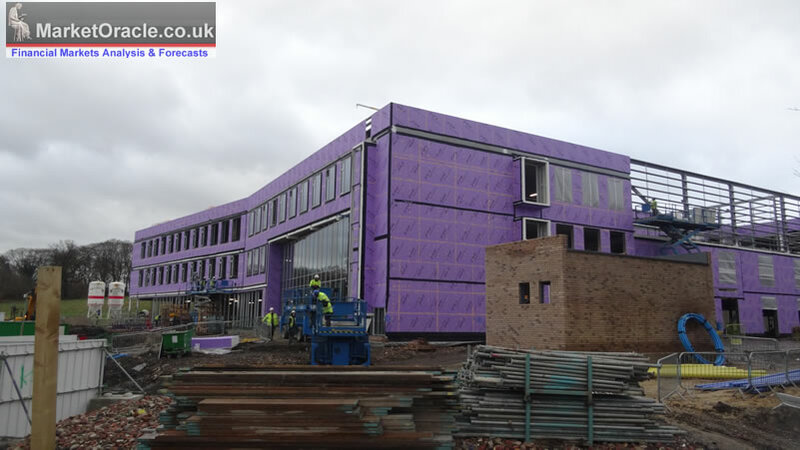 Whilst it will take many years for Sheffield's new secondary schools completed during 2018 such as Mercia and Astrea to have a track record to make it into the tables. Where probably the best indicator for potential is the location which therefore favours Mercia over Astrea in terms of future prospects.